Life at boarding school is exciting and busy. Days are filled with hard work, diverse activities, supportive staff, and warm friendships. Our boarding staff all live on campus, so aunique family atmosphere is built where students are welcomed into a home away from home. This article will give parents and students alike a sense of what to expect when entering the boarding programme at Brillantmont International School. Every day starts with a delicious, healthy breakfast prepared by our on-site catering staff. Students eat with their friends in a beautiful dining hall, looking ahead to the exciting classes and activities of the coming day. Boarding staff, supportive houseparents and spectacular views over Lake Geneva are on hand to be sure that the day is off to a good start! For many, classes start at 8.30. After Middle School, some students have free periods on their timetable in which they are encouraged to do self-guided study, taking responsibility for their learning. Classes are held in the various buildings of the campus, all equipped with Apple TV and beamers and the students move between classes. When classes wrap up for the day at 15.50, all students have access to an incredible array of extra-curricular activities. Highlights include drama club, vocal club, the BM rock band and service projects with Habitat for Humanity, alongside the many sports teams. Several of these activities take place in the Françoise Frei-Huguenin Sports and Cultural Centre. The weekday evenings include study periods, during which staff are available to help students in their work and study skills. Depending on the age and grade, there more be more relaxation time, with students spending time together in the cosy lounges of the boarding houses, talking, playing games, and going over the day’s activities. Occasional evening activities may include going to a rock concert, a ballet or the theatre. As students mature, they are given more free time at weekends and encouraged to take responsibility for their own routines. When a long week of classes has come to a close, everyone is ready for a bit of extra fun. 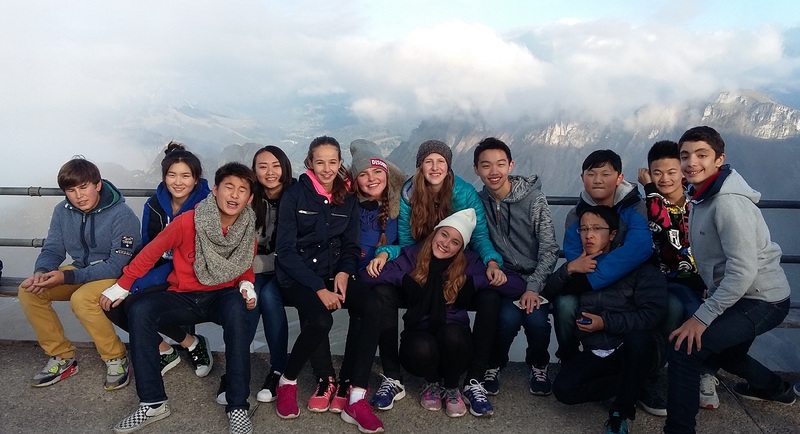 At Brillantmont, the students are encouraged to participate in trips in and around Lausanne as well as further afield. Recent trips have included Milan, Zurich or the beautiful French city of Annecy. Sporting events sometimes take place at the weekend, which give the BM students the chance to meet children from other international schools. Want to find out more about our boarding programme? Go to our website, here.